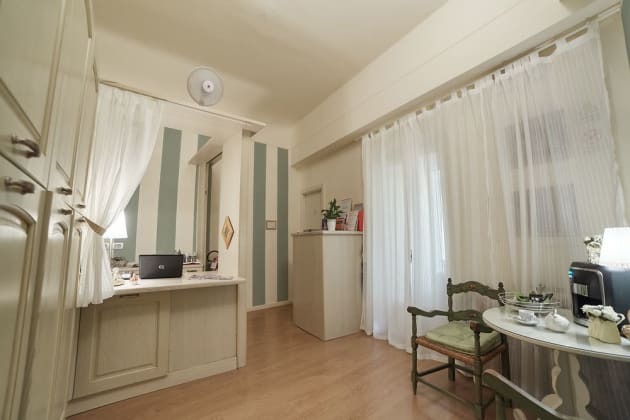 Found in the heart of Florence, the 3-star Albergo Firenze is a charming hotel surrounded by historic buildings, boutiques, restaurants and cultural destinations. Designed as a beautiful, calm haven from the vibrant city streets, this hotel is characterised by its elegant décor and thoughtful touches. Get ready for a busy day with a complimentary breakfast, catch up using free high-speed wi-fi, or unwind in elegant rooms with satellite TVs and air conditioning. 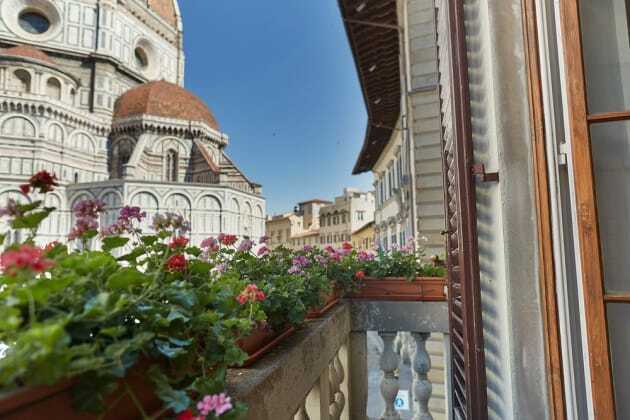 Close to Giotto's iconic Bell Tower, the Hotel de Lanzi in Florence is a charming 3-star hotel packed with authentic 16th century Florentine touches and close to the city’s major hotspots. 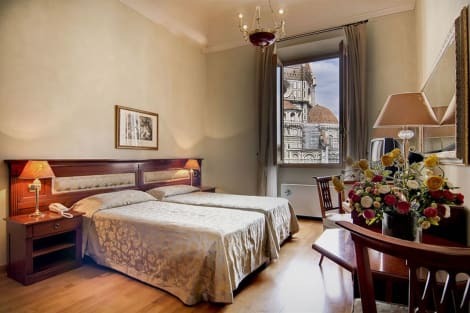 Originally a classic Florentine home, the hotel innovatively blends romantic ambiance with modern essentials, with all of the homely guest rooms having a breathtaking view of the famous gothic Basilica of Santa Maria del Fiore Cathedral, along with air conditioning and satellite TVs. Please note that for small size pets (dog / cat) will be required a supplement of € 10.00 per stay (cash only). 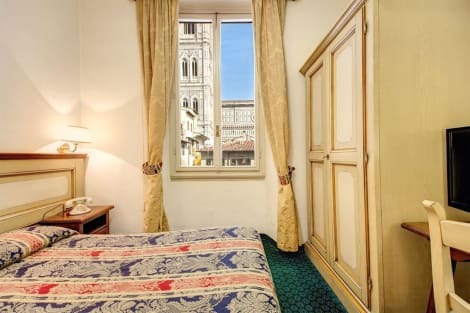 Surrounded and protected by a maze of ancient streets dating back to Dante's age and by awesome Florentine monuments, the Bigallo Hotel is located in the heart of Florence in a Renaissance palace on the ''Loggia del Bigallo'' and overlooks Duomo square and the Baptistery. Please note that for small size pets (dog / cat) will be required a supplement of € 10.00 per stay (cash only). 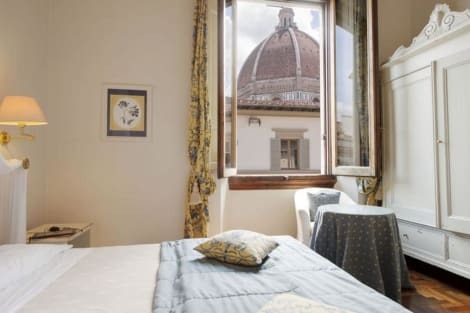 Set in an enviable position close to the Piazza del Duomo and within easy reach of the Uffizi Gallery, Palazzo Ruspoli is an elegant bed and breakfast in the heart of Florence. The en-suite rooms are traditionally furnished, complimented by contemporary conveniences such as free wi-fi access, 32-inch LCD TVs and air conditioning. 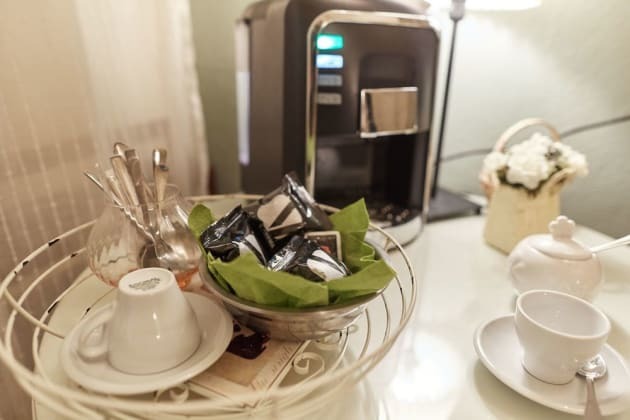 Before heading out into the city make the most of a free continental breakfast and rich, homemade cakes. Paid parking is also available in the hotel garage. Featured amenities include multilingual staff, luggage storage, and laundry facilities.